Vinyl top peeling - suggestions? Close-up of vinyl peeling - any way to get this glued back down before it spreads? 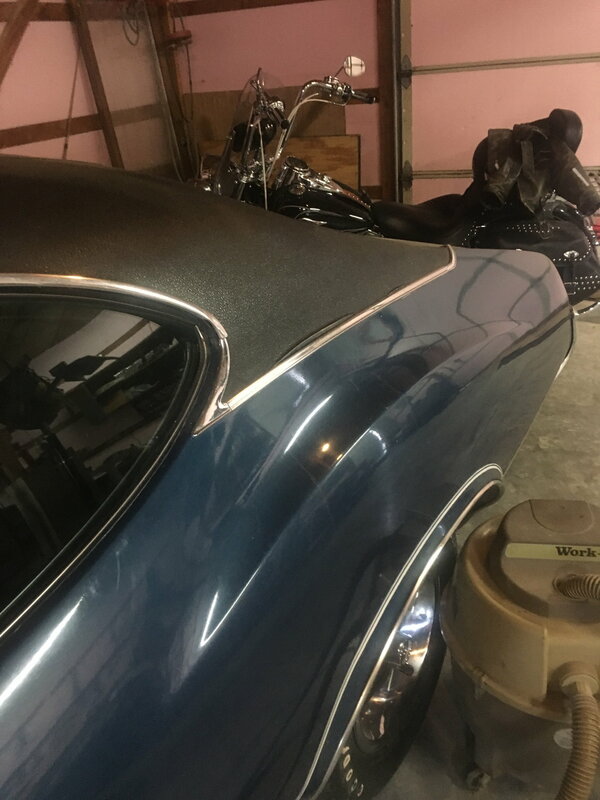 Original vinyl top on 1970 442. I've tried carpet glue haven't found a way to clamp it down good enough for it to hold. The problem is the top has shrunk over time. I don't know of any way to stretch it. Probably need to start considering a new top. I used my wifes hair blow dryer to make the vinyl soft again and gorilla glue. I did this two months ago on my 1970 supreme vinyl top and left it to cure overnight. Still holding today, but time will tell. 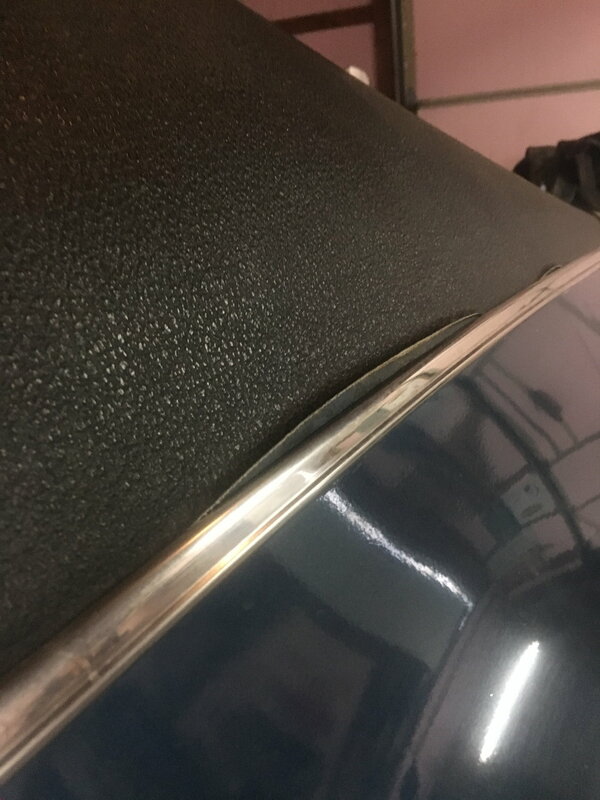 As far as clamping goes, try to insert a wedge between the vinyl top and the chrome trim to keep the vinyl flat while curing. Just be careful not to get glue on the wedge too. You might have to do this in stages along the vinyl edge. Since you don't have any rust under the top I would definitely fix that ASAP. I was thinking contact cement might be a good adhesive to consider. Quick Reply: Vinyl top peeling - suggestions?